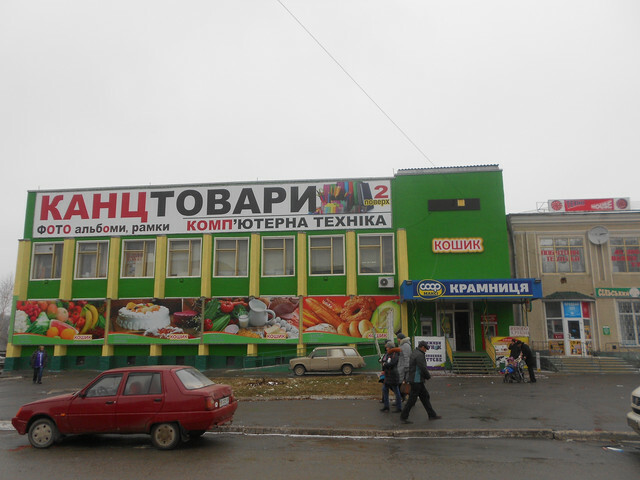 The heating of public premises, including supermarkets are not the significant problem for today as it may seems at first sight. 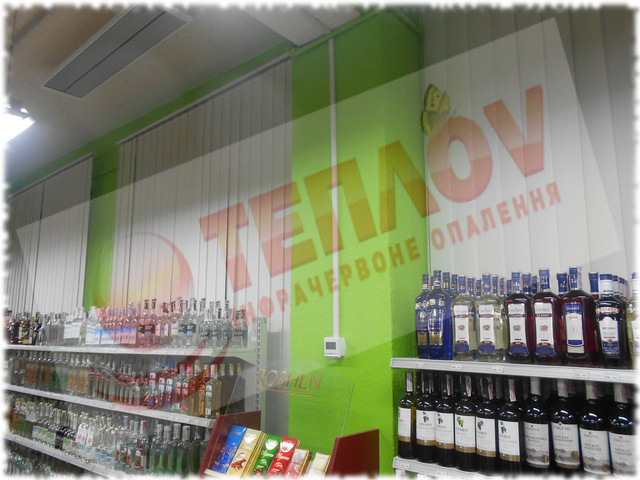 Due to modern technologies of infrared heating we with easiness can provide You the qualitative heating system in large premises, don’t connected to the central heating system, premises of warehouse type. 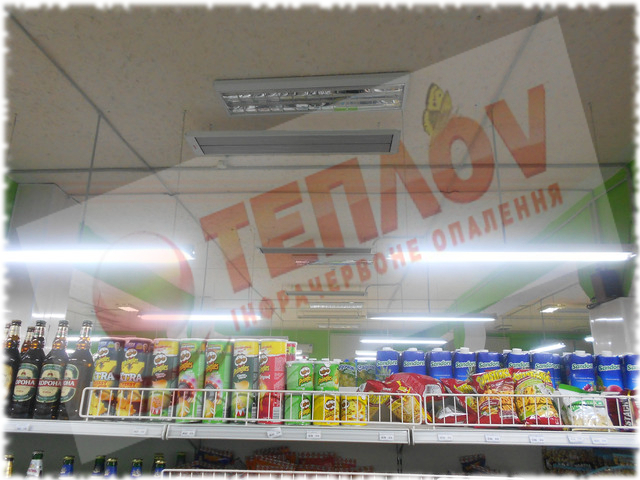 For example, at the heating of supermarket “Koshik” in one of inhabited localities in Khmelnitsk region we were used the infrared heaters TM Teplov – model “P2000”, which were selected specially for satisfying of all demands at heating of the supermarket premise. 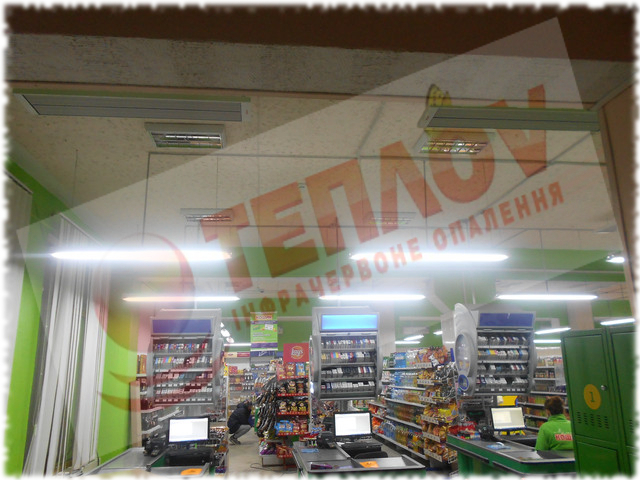 We took into account, first of all, area (300 m2), because just from it depends the numbers of necessary heaters. Facts about the height of ceiling allowed to our specialists to take into account the enveloped area, where the infrared rays will spread. 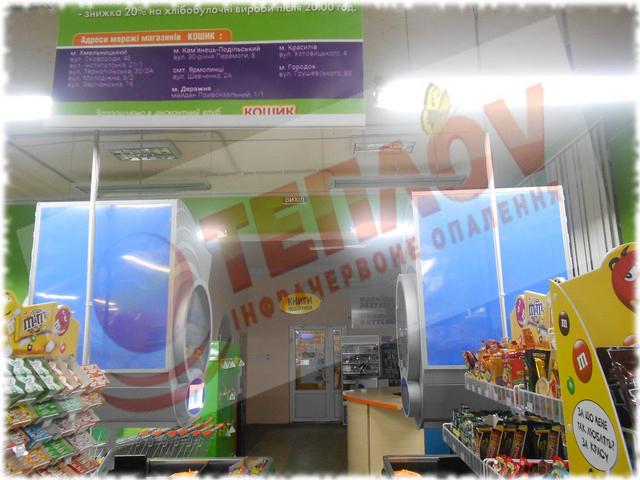 It’s necessary to notice, that IR heaters are the most optimal variant for such kind of premises as supermarkets, because they absolutely don’t occupy the working space, because fixed at ceiling (direct or in the suspended form) and also allow to support equal and stable temperature (in this case 18 degrees) in all necessary departments. It’s important that centre of control of all or group of infrared heaters will situated in one place, because the used thermoregulators allow to control the common temperature, passing by infrared devices. 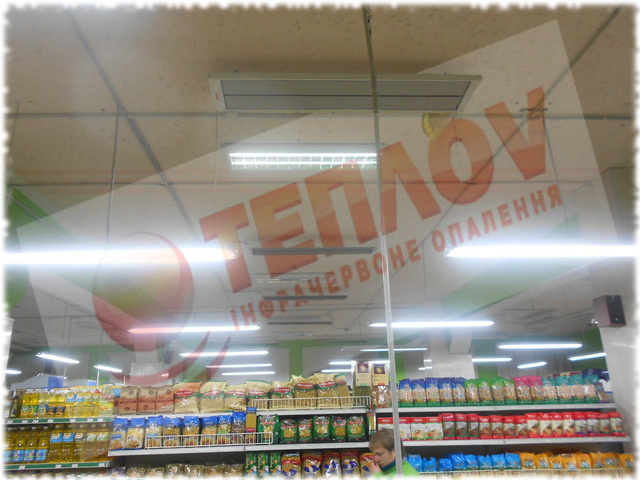 In such a way, in supermarket “Koshik” as everywhere, where worked our specialists, now there is setting and safe system of heating, which doesn’t require the constant start and control from man, and also considerably save money on heating.